Dr. Mark Nelson joined the University in 1991 as a faculty member in the Communication Studies Department. He served as Associate Dean for the College of Communication & Information Sciences from 1996-2006. In September 2006, Dr. Nelson accepted the position of Assistant Provost for Academic Affairs. From July 2007 to October 2008, Dr. Nelson served as Interim Vice President for Student Affairs and Vice Provost. In October 2008, he became Vice President for Student Affairs and Vice Provost for Academic Affairs and served in that position until 2014. Currently, Dr. Nelson serves as Dean of the College of Communication and Information Sciences. Dr. Nelson provides consulting services for numerous organizations and governmental agencies throughout the Southeast. His training repertoire includes such topics as Public Speaking, Listening, Interpersonal and Group Dynamics, Leadership Development and Team building. His research interests include leadership, interpersonal communication competence, communication education and diversity. He is the co-author of the book Applied Organizational Communication and has authored numerous papers for presentation at the National Communication Association. 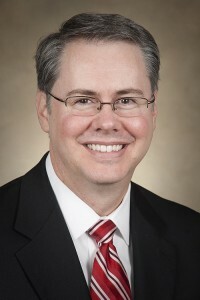 Dr. Nelson has received numerous awards including The University of Alabama Outstanding Commitment to Teaching Award, The Knox Hagood Outstanding Faculty Member in Communication, The John Blackburn Outstanding University Advisor Award and the DSR-TKA Outstanding Alumnus Award.